When I Get Home is the fourth studio album from Solange, and it has been highly anticipated after the success of her intimate, emotional 2016 offering, A Seat at the Table. When I Get Home was released in conjunction with a 33 minute film paying homage to Solange Knowles’ nostalgia for her hometown, Houston. When I Get Home is saturated with a mighty 19 songs and interludes all jammed together in under 39 minutes – a melting pot of ideas. Described recently as a “Snapchat Album” because it sounds like a collection of demos, it is incredibly difficult for a listener to lose themselves in songs that feel as if they are over before they started. However, it is sonically pleasing, exploratory, unequivocally hers and has fleeting moments of ambience and promise. It deserves to be viewed contextually as a piece of avant-garde musical installation art rather than in the ideology of what an album should be. It was evidentially not produced to cater to pleasing the masses, which in itself is admirable for the sister of Beyonce. It opens with Things I Imagine which contains all of seven words on repeat. That’s just the beginning of the overuse and repetition of simplistic lines that form the basis for the entire album. Lyrically the songwriting on this album is an extreme letdown, especially in comparison to its predecessor A Seat at the Table which was lyrically laden with soul-baring and moving social commentary. Way to the Show is smooth and simple with a skeletal beat and Aaliyah meets Janel Jackson breathy vocals. While nice, easy listening for the first 40 seconds the one line repetition rapidly becomes tiring which is where each track being freakishly short works in this album’s favour and proves a saving grace. Almeda is the stand out track and is very obviously produced by Pharrell, with his trademark sound all over it. Following the album’s penchant for repetition, it’s lyrically simple. Featuring Playboi Carti’s signature juvenile voice that harmoniously fits perfectly, however, like all the other tracks featuring big name guests artists such Gucci Mane, The Dream, Tyler the Creator and Sampha to name a few, he is severely underutilised. Cough and you will miss most appearances which is disappointing with the calibre of talent listed. Though underwhelming at many points, emotionally unprovoking, devoid of purpose and ability to resonate, and lacking replay value, credit must be given for the courage to release something sounding so raw in production and organic feeling with a hint of ad lib and the experimental. Solange is undoubtedly a true artist, a creative and a visionary. Some of the perceived flaws are what add beauty and interest to the album. 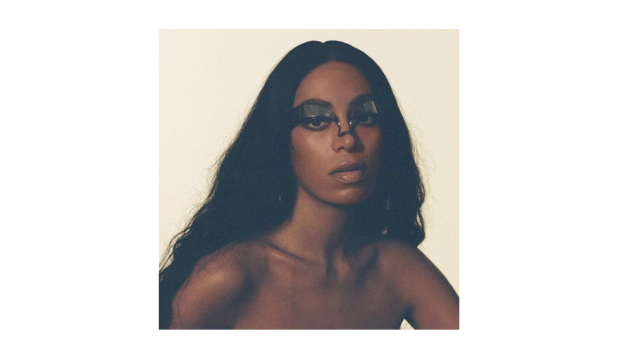 Every track is credited as lyrics and melodies written by Solange Knowles and that in itself is something to be respected and applauded within the pop/ R&B worlds.